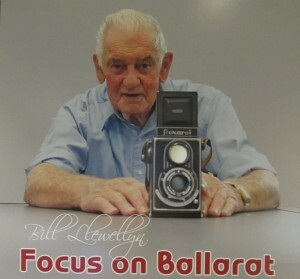 There is a flurry of activity at the Gold Museum as we prepare for the Ballarat International Foto Biennale (BIFB). 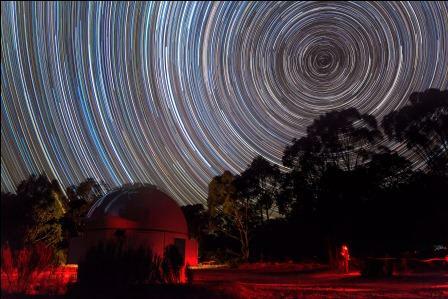 The Gold Museum is hosting a diverse range of photographic works from talented photographers, including a group of over 20 astro-photographers from the Astronomical Society of Victoria. Wonders of the Universe Exposed explores the exotic nebulae, beautiful galaxies, stunning star clusters and the distant planets. 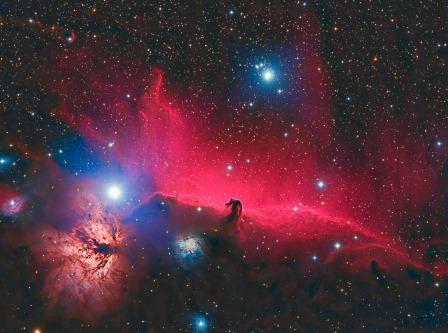 It showcases the beauty of the heavens in all its glory. 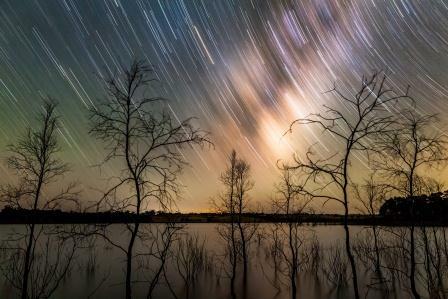 A collective exhibition of over 20 of Victoria’s top and award-winning astro-photographers, Wonders of the Universe Exposed displays this technically challenging art form at its finest. Each photographer has spent hours producing their images. Some photographs include hundreds of layered files to create world-class imagery. BIFB will run from Saturday, 22 August until Sunday, 20 September 2015. Check in with the Gold Museum blog over the coming days to read more about the other exhibitions we will have on display. Can you guess the identities of these well-known Australians? Sydney-based artist Martin Shaw has brought his exhibition Three Well-Known Australians to the Gold Museum. 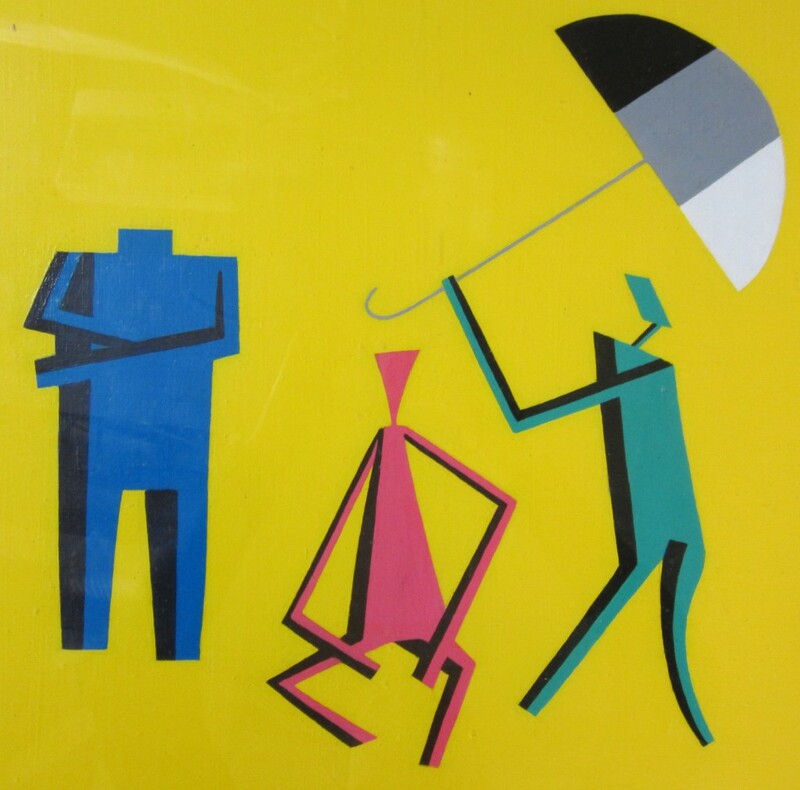 In 1982, Shaw painted his portrait of three mysterious figures which represent noted Australians. He has not revealed the identities in his artwork. Three Well-Known Australians has been touring Australia since 1983 and has been hosted by over 146 venues. 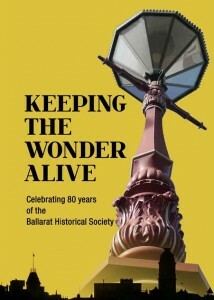 It is one of the longest running touring exhibitions in Australia. As the exhibition has traveled across the nation, visitors have been recording their thoughts on the identities of the figures in yearbooks. One part art exhibition, one part social experiment, the portrait and responses capture the diversity of Australians and their opinions. They are a reflection of Australian society at a certain point in time. Some people have recorded politicians, sport stars and artists, while others have suggested general and abstract themes, such as compassion and strength. There are the famous and the infamous, the historical and contemporary, the serious and amusing. Some people have also recorded their political and social concerns. Visitors to the Gold Museum are encouraged to leave their suggestions in the yearbook. The most creative response will be rewarded a $100 voucher from the Gold Museum Gift Shop. 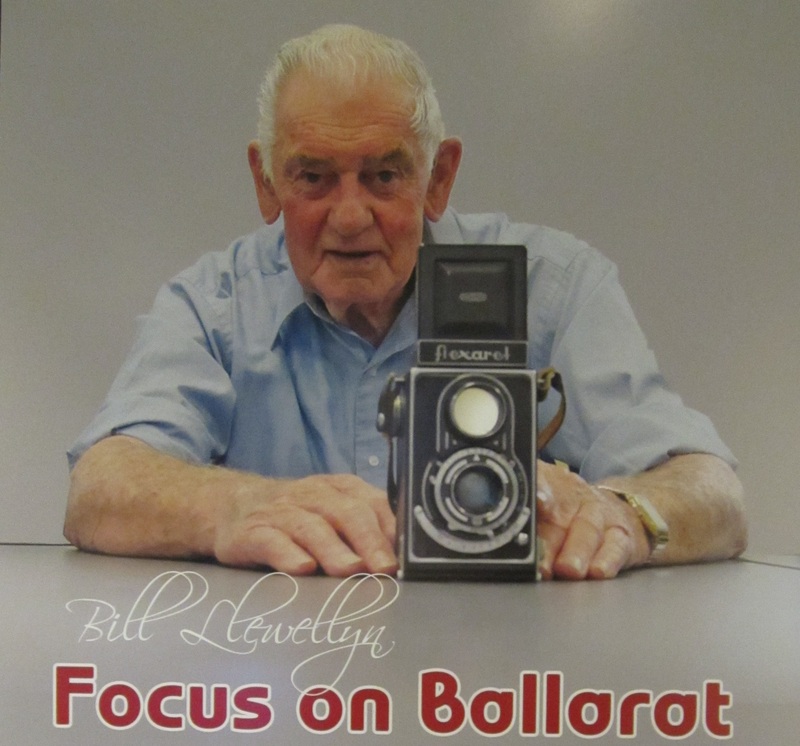 Three Well-Known Australians will be at the Gold Museum until August 2015. The Gold Museum’s latest in-house exhibition Are You Going Too? 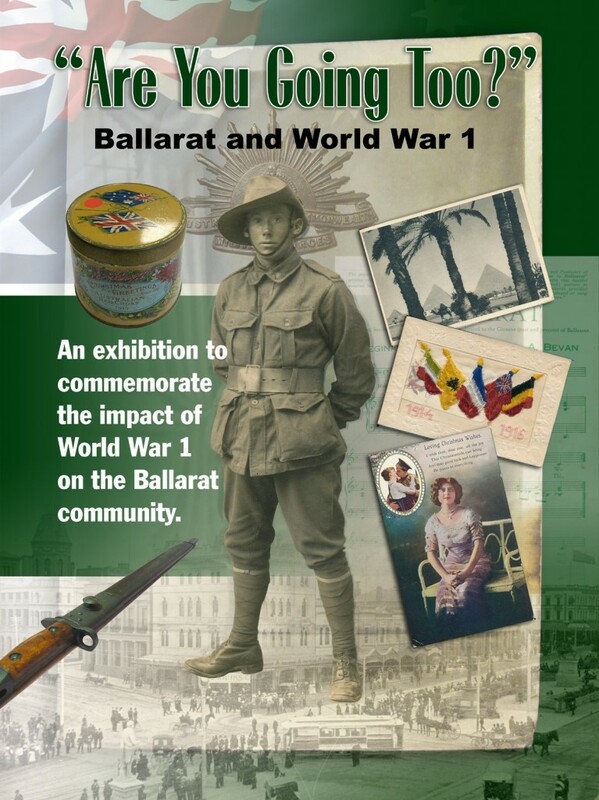 tells the story of Ballarat during World War I. Content has been drawn from the museum’s rich World War I collection featuring letters, photographs, objects and postcards. The exhibition focuses on the experiences of four young men who went to fight. Letters and diaries record the soldiers’ journey as they went from training in the Broadmeadows Military Camp, engagement in Gallipoli and, for some, their tragic deaths. The exhibition explores the stories of the following soldiers. Sir Albert Coates (b. 1895, Mount Pleasant) was 19 years old when he enlisted in the army. He served in Egypt, Gallipoli and Flanders as a medical orderly and later with the Intelligence Corps. Upon his return to Australia, he undertook a medical course, eventually becoming one of Australia’s pioneers in neuroscience and a mentor of Sir Edward ‘Weary’ Dunlop. Seventeen year old Roy Victor Holloway (b. 1896, Ballarat) falsified his father’s signature to join the 14th Battalion. After training in the Broadmeadows Military Camp and Heliopolis Camp he was sent to Gallipoli and then went onto the Western Front. In 1917 he was taken prisoner by the Germans and held captive for 20 months in the Soltau prisoner of war camp. Roy returned home in 1919 where he was given a hero’s welcome. Joseph James Lugg joined the war together with his brother Robert. Little is known about Joe but his collection of letters housed at the museum provides an insight into the young man’s faith and unwavering support of God, King and Country. Joseph was amongst those Anzacs sent to the Dardanelles and was at the landing on 25 April, 1915. He was killed in action in Gallipoli in August 1915, while his brother survived. Are You Going Too? is on at the Gold Museum until August 2015.